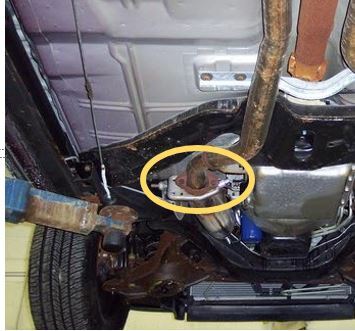 I've got an exhaust leak on my '95 Caprice Wagon where the drivers side converter exits (attached picture I stole from someone elses post - my car is much less clean). It appears to be the factory joint, but I can't really tell how it seals from looking at it assembled - is there a donut gasket in there somewhere? I just want to have some idea how to fix it before I disassemble. No gaskets, that is metal to metal. You might want to check where the ball and the sockets were formed from the seamed tubing used to form the pipes at the factory. Sometimes there is a ridge that can be carefully removed to provide a smooth sealing surface.